As we approach the culmination of the inaugural Dota Pro Circuit season, we’d like to look ahead and share some information to help players, teams, and organizers prepare for the 2018 – 2019 season, set to begin on September 15. There are a few big changes on the way. Once we begin the new competitive season, we’ll be adjusting how Rosters and DPC points work, adding some regulation to an aspect of team ownership, and overhauling the qualifying process for Majors and Minors. Our goal is to introduce a bit more structure to the year, increase team roster flexibility, and improve the spacing and importance of each event. Next season players and teams will have increased flexibility to find the right blend of personality and playstyle needed to claim the Aegis of Champions. To that effect, the 2018 – 2019 season will no longer regulate player movement via hard roster locks, and changing rosters during the season will no longer disqualify a team from DPC consideration. In the new system, qualifying points for The International will be associated with registered teams instead of individual players. Teams will still designate their five-man rosters, but they will be allowed to change those rosters during the course of the season. Each player removed from a roster will reduce a team’s current point total by 20%. Adding a new player will not earn any additional points. If a team plays in a Pro Circuit event without their official five-man roster, the points earned for that event will be reduced by 40%. A team’s admin can remove any player from a registered roster, and any player can choose to depart. When playing in a Minor or Major qualifier, teams must always use at least 4 of their 5 registered players. Once the TI Invites and Qualifiers start, teams can no longer change their roster until the conclusion of the TI Main Event. Substitutes can be declared after TI Qualifiers to account for emergencies, subject to approval from Valve. Teams wishing to compete in the 2018 – 2019 season will have to register after the conclusion of The International in August. If a team wishes to be eligible for invitation to the first Major and Minor Qualifiers starting on September 17th, they must register their roster by September 15th, 2018 at 10:00 AM PDT. 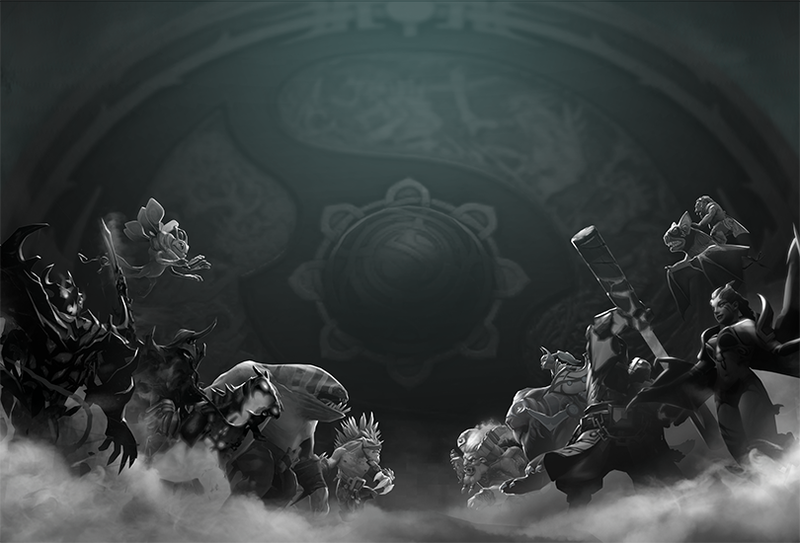 Looking ahead one year to The International 2019, in cases where one organization or person has ownership in multiple teams, only one of those teams will be eligible to compete in The International, regardless of DPC qualifying points. All teams can participate in the Pro Circuit Majors and Minors leading up to next year’s TI, but all ownership conflicts will need to be resolved prior to TI Regional Qualifiers. This includes cases in which players have financial ties to other teams. Unlike this year, next season’s Minor and Major events will be held in pairs, with the qualifiers for each set to run in exclusively scheduled windows, the first coming in September. There will be no direct invites to either Minors or Majors. The Major qualifier will run first, and teams who do not qualify for the Major will be eligible to compete in the Minor qualifiers a few days later. The winner of the Minor Main Event will have a reserved slot in the respective Major happening shortly afterwards. All Minors must feature at least eight teams, with a minimum of one qualifier per region. Majors must have at least sixteen teams, with at least two qualifiers per region. All teams that play in a Minor or Major will earn DPC points. Teams participating in the Minors will be required to work on the Visa application in advance of the tournament, in order to be able to make the Major if they win. Below is the full schedule designated for the 2018 – 2019 season. We’re currently accepting applications for all of the dates listed below apart from the first Major in November, which has already been registered. Make sure to include detailed format structure in all proposals.